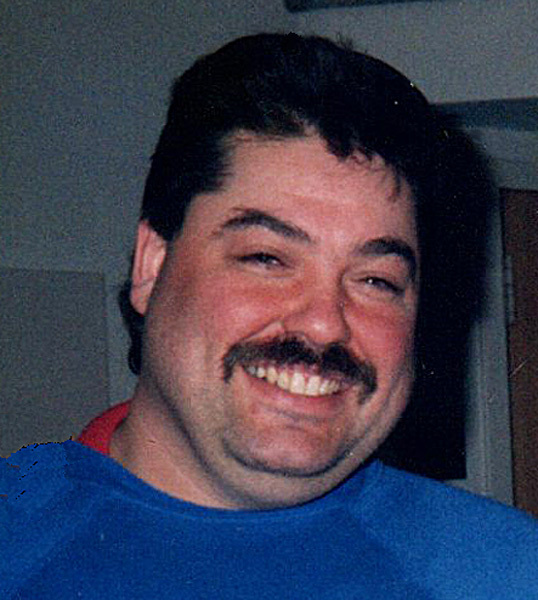 Donald R. “Buck” Peluso, 56, passed away January 20, 2019 at Baystate Medical Center. He was born in Northampton and was the son of Josephine (Plescia) Smuk and the late John Smuk. He grew up in Springfield and Ludlow and had resided in Chicopee for the last 6 years. Donald was a 1980 graduate of Putnam High School. He worked as an electrician for Icon West for over 20 years. He enjoyed watching NASCAR and cooking but most especially, he loved spending time with friends. He leaves his mother, Josephine Smuk of Indian Orchard; his brother, Joseph Peluso and wife Lynne of Ludlow; his nephews, Joseph and Thomas Peluso; his fiancé, Tara Lyons; many cousins, other family members and friends and his beloved dog, Bailey. A Funeral Mass will be held on Sat. Jan 26th at 10:00 a.m. at Christ the King Church, 41 Warsaw St., Ludlow. There are no calling hours. Nowak Funeral & Cremation Services is entrusted with arrangements.